Minister David Bahati has informed the committee chaired by Ms. Anna Maria Nankabirwa Wednesday, March 27, that his team is set to travel to South Sudan to present to the government of South Sudan a list of verified Ugandan traders formerly trading in there with unsettled claims. KAMPALA – It is the desire of the government to ensure that all Ugandan traders are paid their claims against the government of South Sudan but the government does not have the money, Parliament has heard. “Government is committed to seeing that all the traders get their payment but lacks funds to clear them all at once because the resource envelope is not enough,” State Minister for Finance Mr. David Bahati has said. While appearing before the Parliament Select Committee on Ugandan traders, Mr. Bahati informed the committee chaired by Ms. Anna Maria Nankabirwa Wednesday, March 27, that his team is set to travel to South Sudan to present to the government of South Sudan a list of verified Ugandan traders formerly trading in there with unsettled claims. “We need to make a case and have these payments concluded,” Mr. Bahati said. 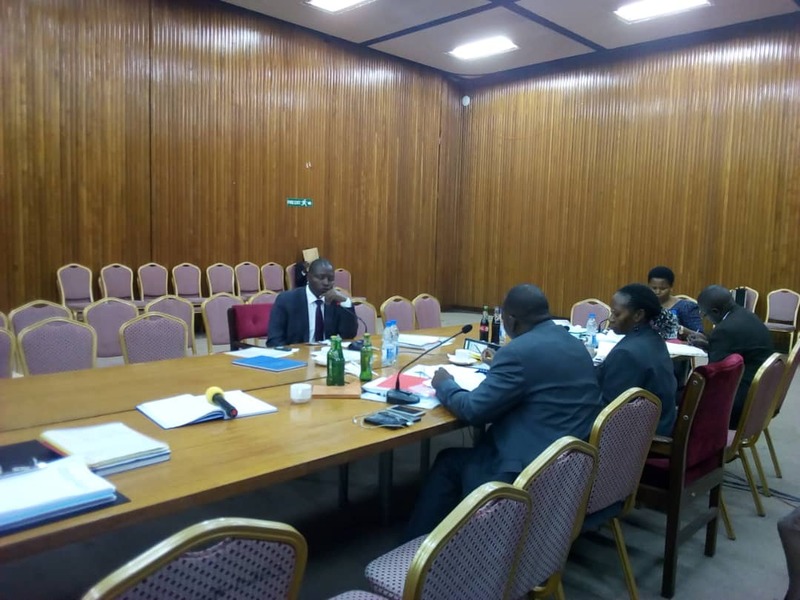 The Members of Parliament (MPs) led by Masaka Municipality MP Mathias Mpunga, backed by Kagadi Woman MP, Jennifer Mbabazi Kyomuhendo tasked the minister to explain the circumstances under which the 10 companies were paid leaving out the 23 companies approved by Parliament. “It was unfair to exclude the 23 companies even after Parliament resolved that all the traders should be compensated,” Mr. Mpunga explained. Hon. David Bahati appearing before the Parliament select committee on Ugandan traders at parliament. In response, Mr. Bahati said that the verification of the 10 companies was done in a very transparent. He revealed that one of the reasons that led to the delay in the verification was that the South Sudan government did not send their delegation in time. Ms. Kyambadde disowned the list of companies after the committee chairperson highlighted that there have risen a number of concerns from several witnesses that have appeared before the committee accusing her ministry of leaving them out while compiling the list of beneficiaries. Ms. Kyambadde, however, requested for more time to report back to the committee within a day with a detailed report on the list of companies that was tabled before Parliament. A total of 23 companies were last year approved by Parliament to be paid in the third phase following a report of Parliament Committee on National Economy.